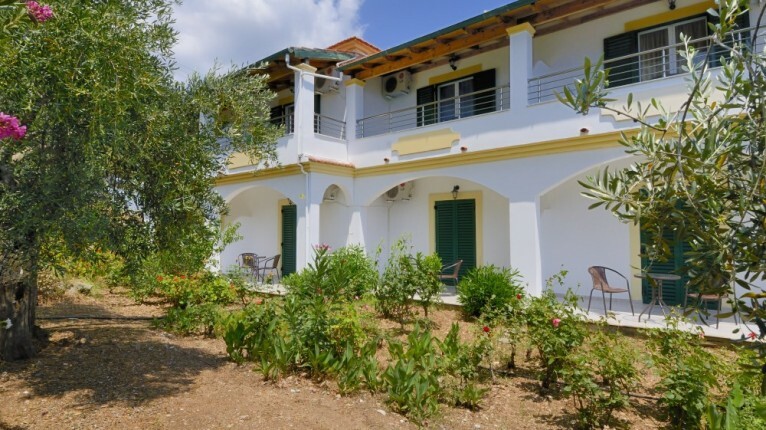 The popular Crystal Blue is located in between Nissaki and Barbati, on the beautiful north east coastline of Corfu. 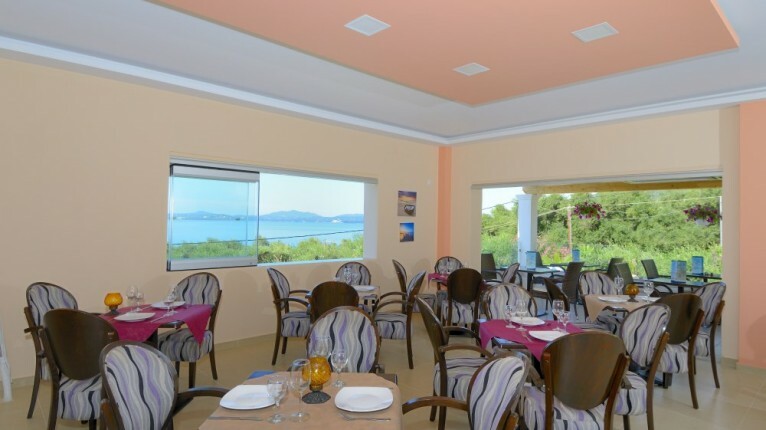 There are eight studios on the ground floor and eight studios on the first floor with views of either the hillside and garden or of the pool and sea. 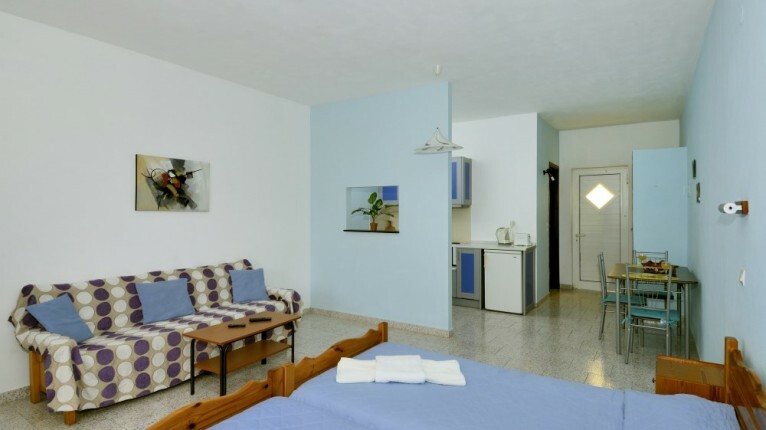 The studios are suitable for 2 to 3 persons, each has two single beds and a sofa bed which can accommodate the third person, a kitchenette and a balcony. The bathroom has a toilet and shower. There is also a spacious one bedroom apartment on the ground floor adjoining the bar/reception. 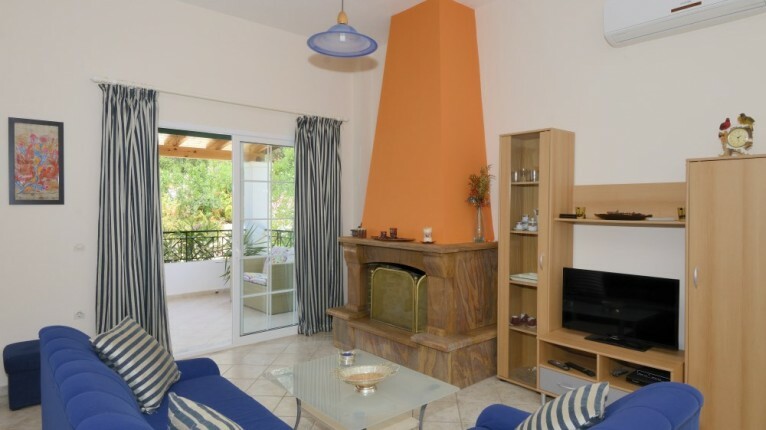 Also suitable for two to three people the apartment has a separate bedroom with double bed, large open plan living,dining and kitchen area with a good size balcony with side sea view. An additional folding bed can be added to sleep a third person and there is a second smaller balcony off the bedroom. The bathroom has a toilet and bathtub with hand held shower. 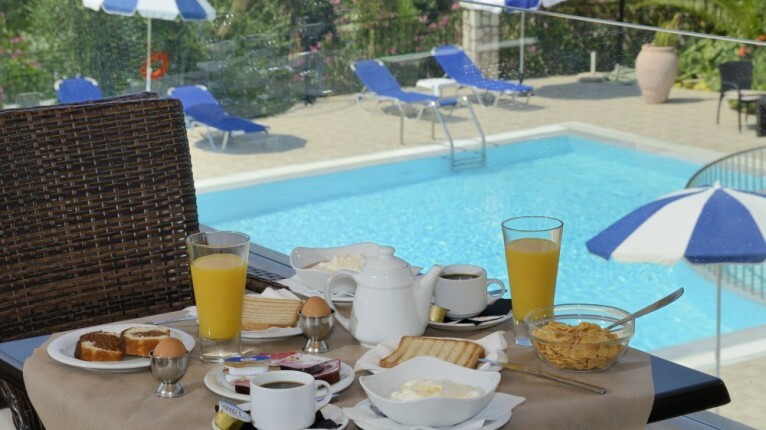 Breakfast, air conditioning, wifi and TV are provided at no extra cost. A beautiful swimming pool with sun beds and parasols is located in the lower garden area, and here you will also find the reception and bar. Cleaning occurs 5 times a week and towels and bed linen are changed 3 times per week. The nearest restaurant is at a distance of 200 m and from here 70 stone steps lead to the small beach of Glyfa. 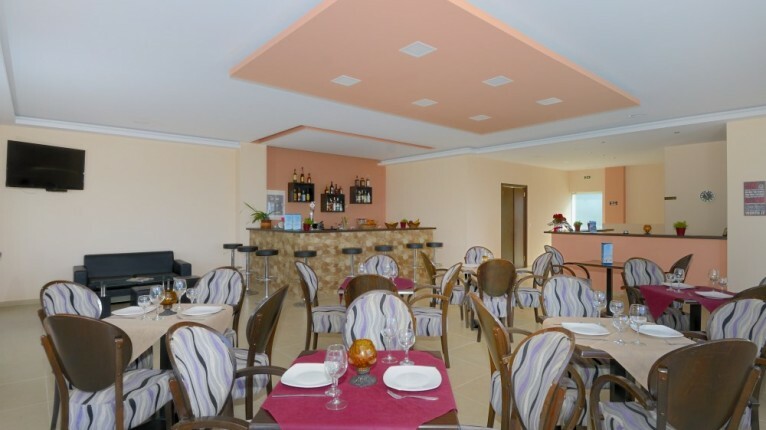 Barbati with a larger selection of restaurants and shops is 1200 m away and the village of Nissaki is at a distance of 850 m.